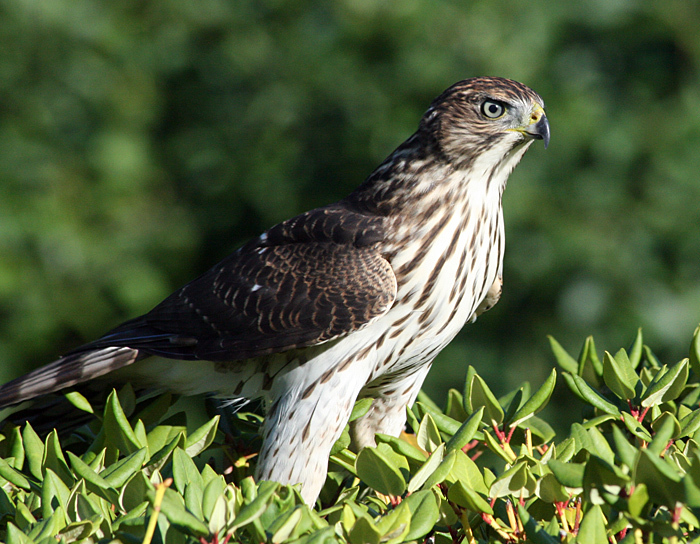 I threw some peanuts out on the porch this morning. 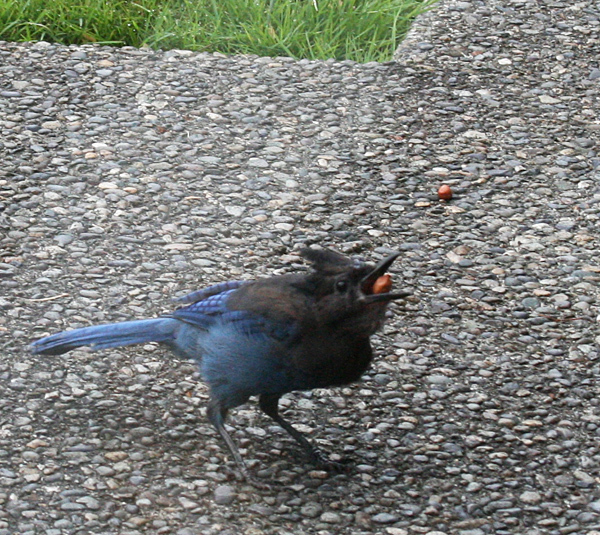 Sometimes squirrels eat them, sometimes Steller's jays. 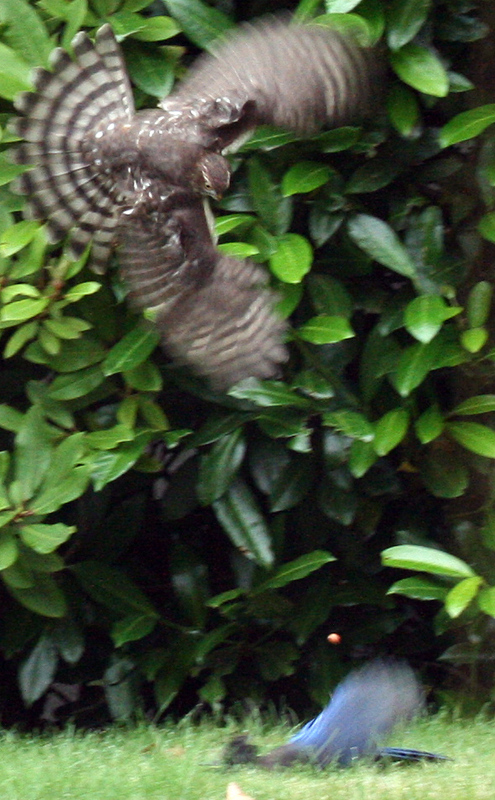 This time, a jay was scarfing them up. 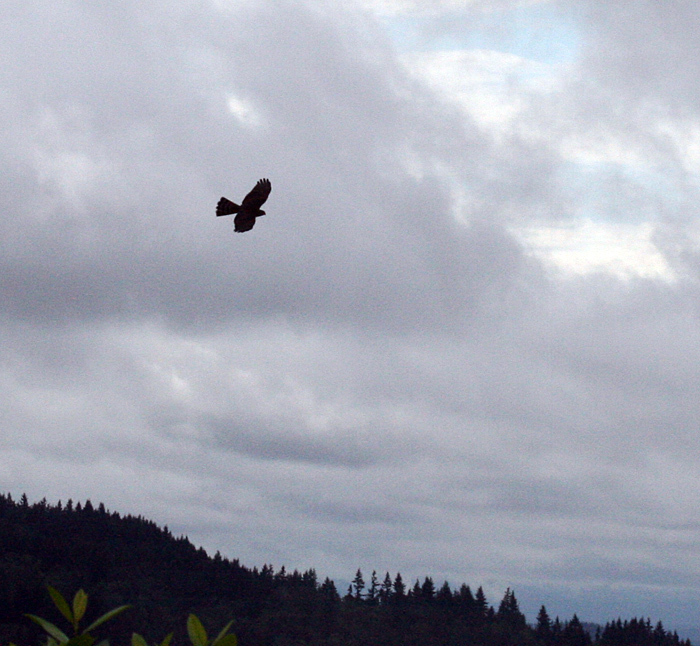 Suddenly, a hawk swooped down. 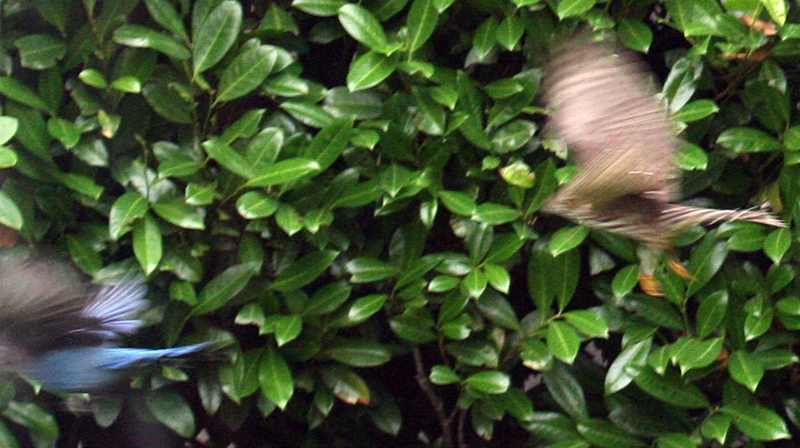 The jay made a panicked run for it, hit the ground, lost one of his peanuts in the fray. 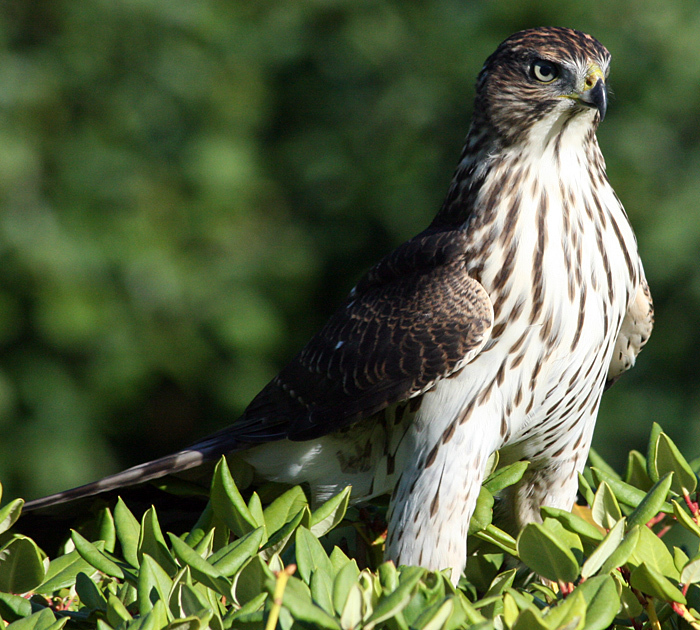 scene three: hawk vs jay, the race is on. It was a close chase for a moment. 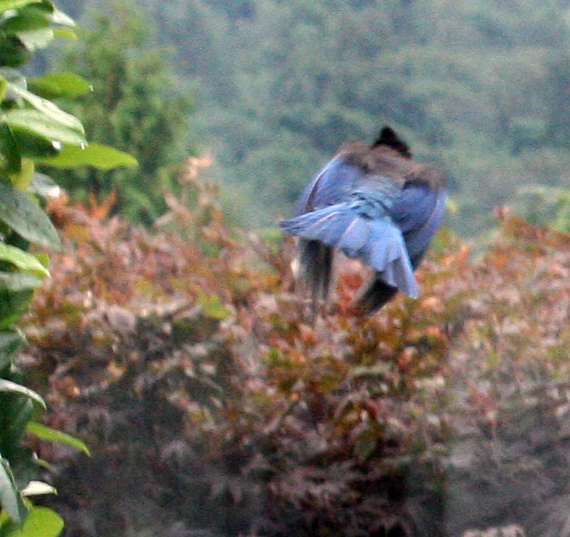 scene four: the jay breaks away. Life goes on, this time. 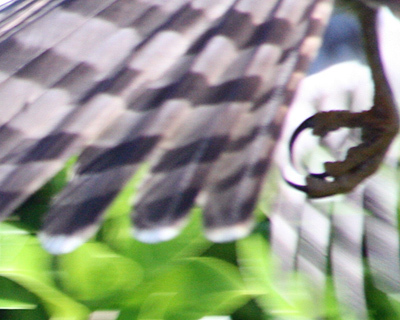 scene five: the hawk circles, looking for his next target. 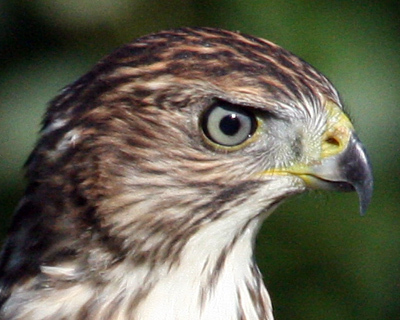 Ask not for whom the hawk hunts, he hunts for thee. 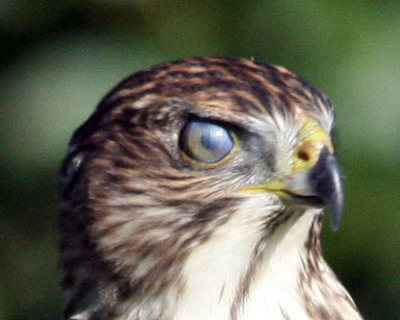 Here is a hawk eye with its nictitating membrane cover. He can blink without ever taking his eye off you. Business end of the leg.